A father, who allegedly stabbed his son with a louvre pane after he tried to stop him from abusing his mother, was this morning charged and remanded to prison for murder. Mohan Sookdeo, 44, called ‘Wire’ of Fifth Street, Foulis, East Coast Demerara, was arraigned before Magistrate Wanda Fortune at the Cove and John Magistrates’ Court. 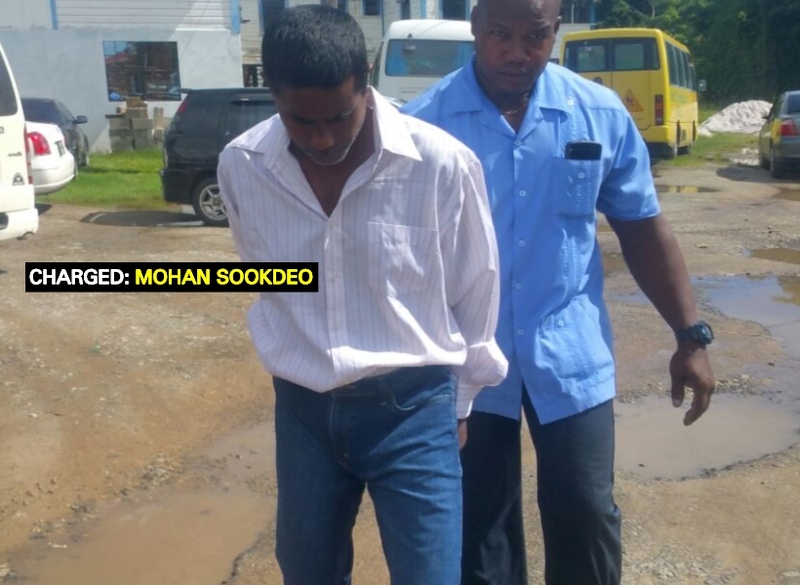 Sookdeo was not required to plea to the charge which alleged that on September 8,2018 at Lot 217, Foulis, East Coast Demerara, he murdered his son, Satesh Sookdeo. He was represented by Attorney-at-Law Haymant Ramdhani who asked for disclosure in the matter. Sookdeo will make his next court appearance on October 2 for report. It was reported that on September 8, last, at around 20:35 hrs, Sookdeo and his spouse got into an argument at their residence when he held the woman by the neck and began to choke her. According to information, the defendant’s son, upon seeing what was transpiring, intervened. The defendant then allegedly broke a louver pane and fatally stabbed the youth to the stomach. The 21-year-old, who was a joiner, died in his mother’s arms. His body was then taken to the Georgetown Public Hospital Corporation (GPHC) where he was officially pronounced dead on arrival.